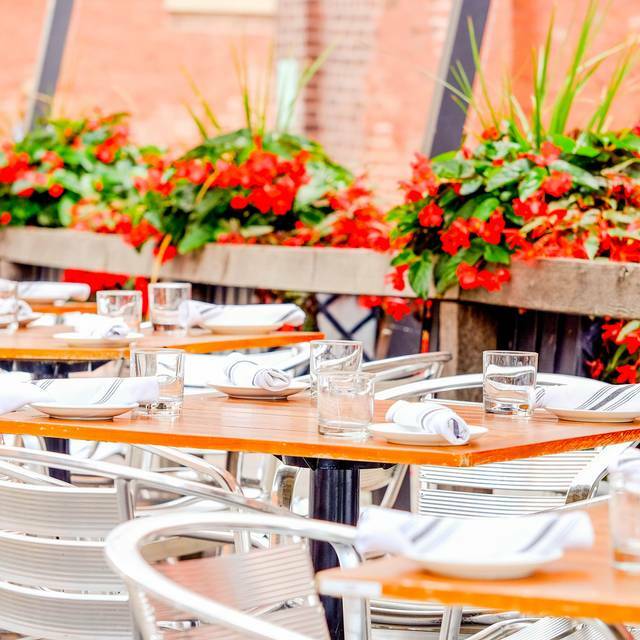 At the slightest sight of summer, we open the doors to our patio where you can sit and take in the beautiful Victorian Industrial architecture that the site is famous for. 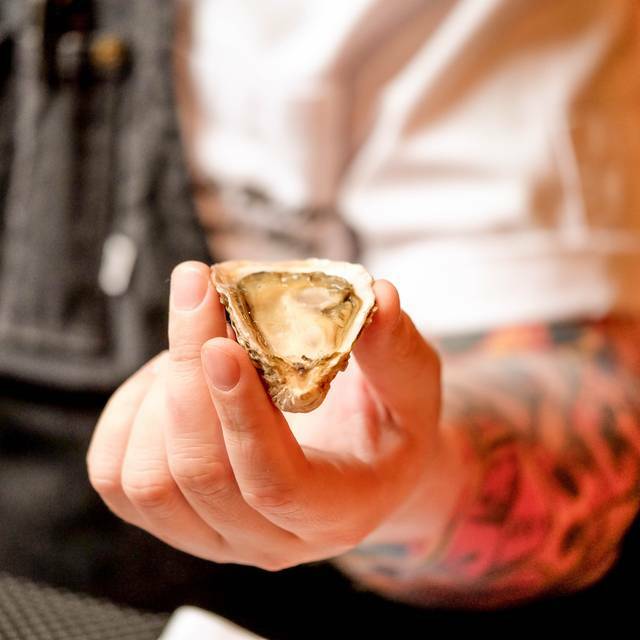 Grab a seat at the Oyster Bar where you can mingle with a Chef shucking your oysters to order and teaching you about the amazing flavours and how to best match it to our selection of local beers. We cater to any size event from 20-700 and specialize in weddings. 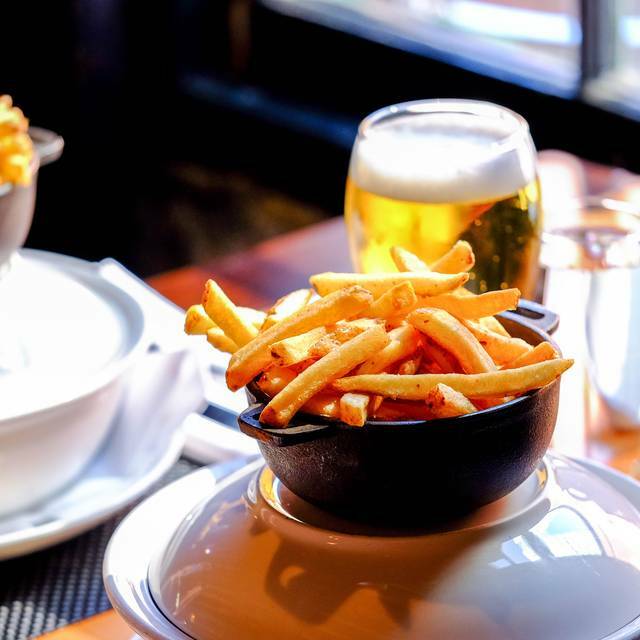 Menu selections include hors d'oeuvres, canapes, mini appetizers, three course - five course prix fixe menus to fit any budget. 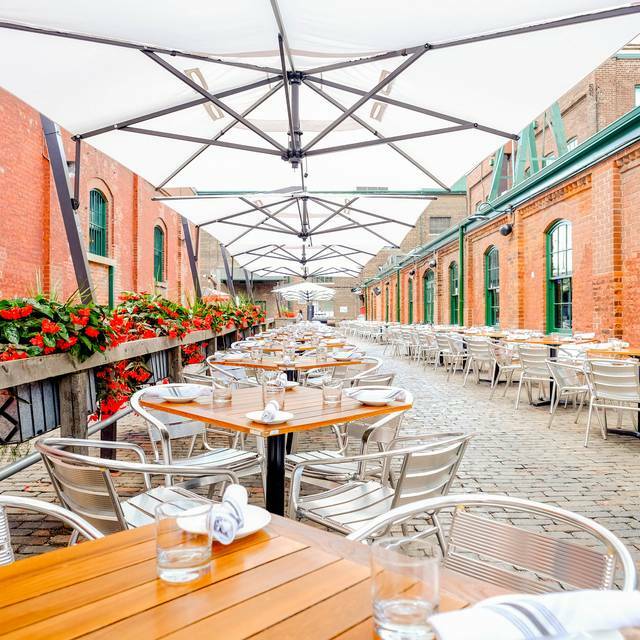 Continually recognized as one of the best places for seafood in Toronto, Pure Spirits is located in the Distillery District. Nearly one hundred years ago, when temperance societies and prohibition ruled America, it was from this very room that the whiskey barrels began their clandestine journeys across the lake and around the world. 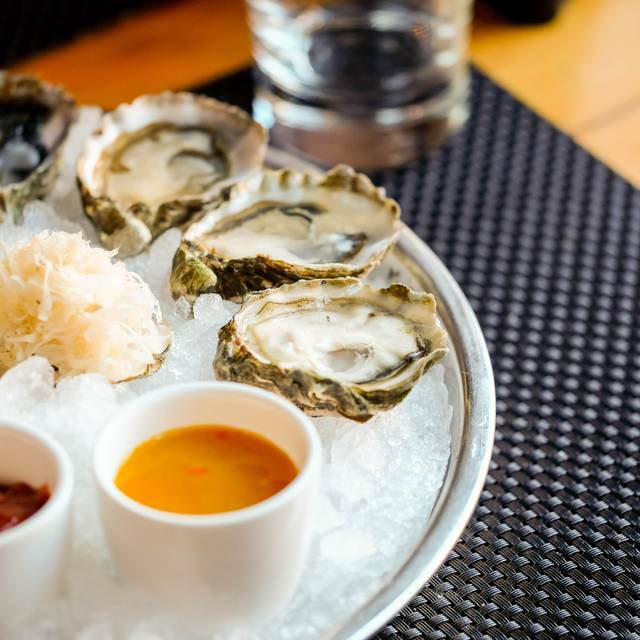 Today, while more refined spirits are served up, people come for the ambience and amazing food, particularly the fresh fish and oysters flown in from across North America and abroad... everyday! We had a wonderful Birthday dinner for my wife. Our two young kids were so well taken care of and entertained by one of the other servers, with magic tricks and extra care. Our server, I don't remember her name was thorough, knowledgeable and attentive. The food was delicious and we also enjoyed the atmosphere. Great place great service great time. Would totally recommend this restaurant! We came to have dinner before the theatre on a Friday evening. I was on time but my friend was stuck in traffic and was twenty minutes late. Still, our server managed the pace of dinner and drinks so that we did not feel rushed, the dinner itself was plentiful and tasty and we got out on time. Food and drinks done well. Oysters, divided into east and west coast plates, were fresh and tasty. The seafood was cooked properly and spiced nicely. Definitely worth going at any time but perfect for pre-theatre. Whole experience was very enjoyable, Great service and very pleasing food! This was our second time and we will be back. Arrived for the reservation hostess noted there were three options for a window seat as requested she was very professional. Darren was our waiter, he was very pleasant, welcoming and was quite familiar with the menus and offered suggestions. The oysters were fresh, lobster Rockefeller, fresh vegetables were cooked to perfection with a slight bite. The sauces were spices and flavourings complimented the tuna as well as the lobster. As it was my husbands birthday a creme brûlée with fresh fruits and short bread was the perfect end to a great dinner along with a candle. So thoughtful without even asking. We will be back again soon. This is our 2nd time here and we will definitely be back again . Great food, wide variety and great service . The table was ready on time and food came out in a timely manner . Very cool ambiance . Not only is the food amazing but the cocktails are creative and delicious. I am already planning my next visit because just ... WOW! Also, friendly and welcoming servers who make you feel right at home. The whole package. One of the best restaurants I have ever been. Definitely I will go back. Fantastic service. Incredible food. In a very cool location. Simply a great experience. Amazing and completely exceeded my expectations! The servers knew the menu, the meal was fantastic. This is an absolutely wonderful place to eat seafood, particularly if you are tired of the same old boring dishes. Their seafood pasta (either types depending on what you prefer) is also absolutely delicious! Also the service there is very good overall. Just make sure that when you make your reservation you ask for a booth if that is what you'd prefer. Service was terrific -- waiter was very nice, funny and knowledgeable. Everyone enjoyed their meals which was a variety of menu items. Beautiful plating and presentation. Food was hot and portion sizes just right. Flavorful and fresh. Great cocktails and wines. Amazing service! 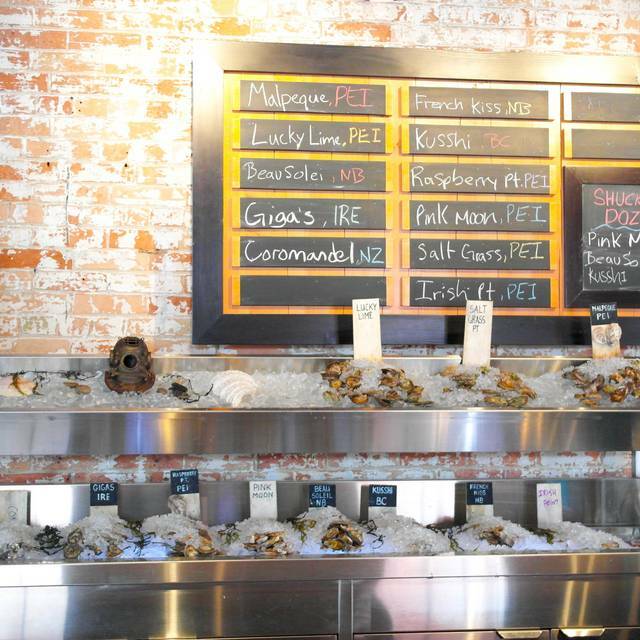 Knowledgeable staff and fresh oysters!! Dinner out with the ladies. Reservation was on time and booth requested was accommodated no problem. Kale cesar was okay little bland. Lobster Rockerfella was very good. However the fries were very plain and cold. Overall the ambiance is nice and food good. The cocktail list could be better. The restaurant was busy and the group of us felt a little rushed when getting served. I had reserved a table a couple of weeks before the event because we were bringing friends we ended up getting the table at the end of the restaurant looking at the door to the kitchen. The staff were good enough to change tables for us. 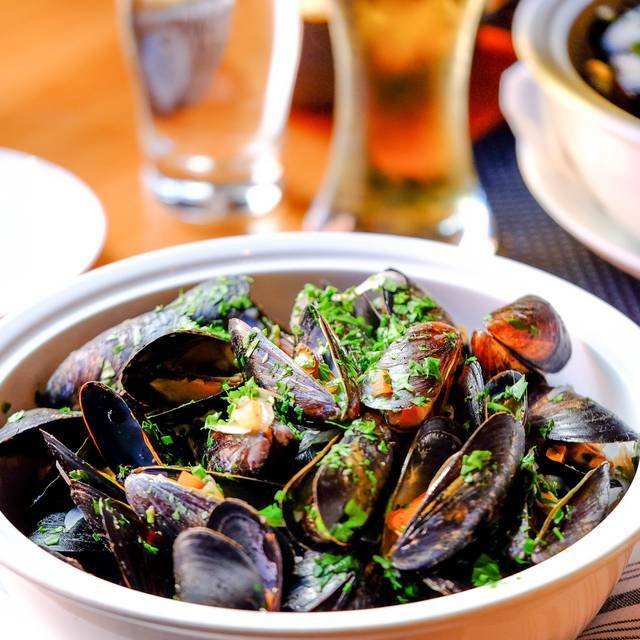 Great menu with mussels and oysters! Pleasant, accomodating staff. We loved the vibe and we had a great server. We ordered oysters which were excellent among other things. The server brought out two more oysters complimentary was we waited for our meal which we thought was a nice touch. Great experience overall. Service was wonderful and attentive. Food was delicious. I love Pure Spirits. We had the tacos for appetizers and they were delicious. My husband loved his red snapper and my Lobster Pappardelle was delicious - my only complaint is that it is an expensive dish for pasta, so I wish there were more lobster chunks. Glad I made a reservation at the restaurant was full. Service was great and the food was wonderful. First time there and will definitely be going back. I had heard great things about this restaurant and it sure didn't disappoint. We had the shuckers dozen oysters for appetizers, they were delicious and fresh. The fish dinners we had melted in your mouth. The banana split dessert was the ultimately delicious ending to a wonderful dinner. Our server Tina M was exceptional and attentive she made our night. We will definitely be back. The food is always amazing and the staff are great! 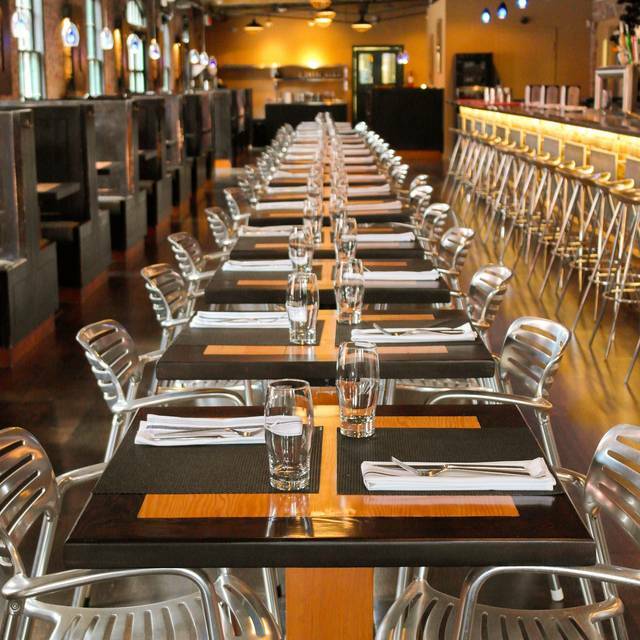 A great place to come for a special occasion or just a nice dinner out! 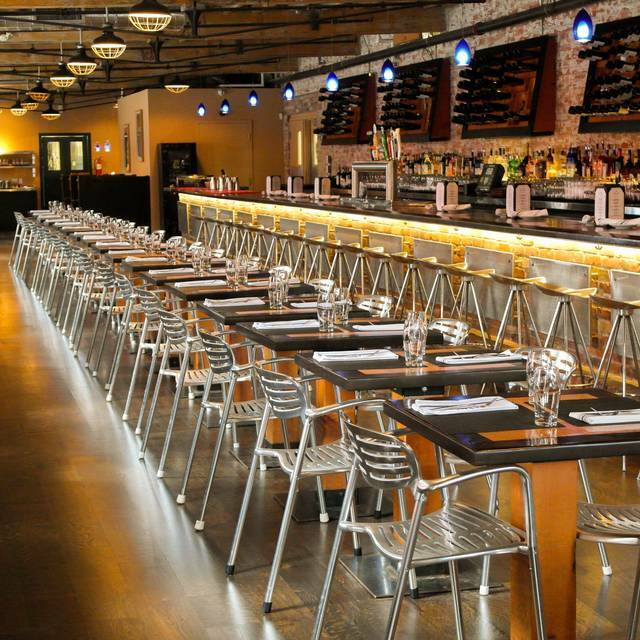 The restaurant is nice mix of wood/brick and looks fantastic. All the servers, hostesses were amazing. We were super happy with the food, oysters were delicious, swordfish seviche was so flavourful and the pasta was great. Will definitely go back for buck-a-shuck night. Fantastic food, service, and location. I have visited this location twice and will definitely be back! I thought the food was incredible. Loved my salmon dish, cooked perfectly. And the ambience was special occasion-worthy. The food was enjoyable, but the service was very slow. Great service! Great food! Great staff! Sat at the bar which made the experience even better by watching the seafood platters being put together and the oysters being shucked.